Suzuki has extended its VAT Free offer until the end of 2013. The offer gives buyers of a new Splash and Swift the equivalent of 20% VAT off the list price. Furthermore the offer has been extended to the outgoing SX4 in 1.6-litre SZ3 and SZ5 forms. The outgoing SX4 is on run out following the launch of a new model. The offer means the Splash is available from £7999, the Swift from £8999 and the SX4 1.6 SZ3 is £10,495. Additionally the Alto SZ list price has been reduced by £700 to £6499. Additionally the current PCP offers have been extended until the end of the year. As an example, the Splash SZ3 1.0 can be financed on PCP with a deposit of £925 followed by 42 monthly payments of £139, with a final optional payment of £2856 should the buyer want to keep the car rather than hand it back. 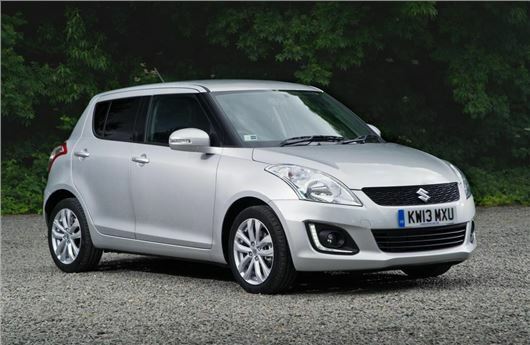 The PCP offers are available on a broader range of models than Vat Free, including the Suzuki Swift Sport.